The Canon EF 85mm f/1.2L II USM Lens is the widest aperture lens Canon currently makes (review update: the Canon EF 50mm f/1.2L USM Lens now shares this aperture) - allowing handholding and action stopping in the darkest conditions. The background blur the Canon EF 85mm f/1.2L II USM Lens is capable of producing is stunning. It takes a lot of glass to be that fast - and it sure looks nice. It is especially attractive with that red ring around the end of it - showing it's L-Series membership. The biggest downside to the original Canon EF 85mm f/1.2L USM Lens was the very slow focusing speed. If you were shooting portraits, it didn't matter. But, a lens this fast begs to be used for indoor action sports. Canon has utilized the latest USM (Ultrasonic Motor) in this lens for faster (though I wouldn't give it a "fast" rating yet) and near-silent autofocus. The 85 f/1.2L II's improved focus mechanism is about 1.6x faster than the original lens - noticeably faster and a very nice improvement, but not as fast as Canon's fastest autofocusing lenses. While this lens certainly has the aperture and image quality to be an excellent indoor action sports lens, the AF performance is only "good enough" in my opinion - and not matching the Canon EF 85mm f/1.8 USM Lens' AF performance. Can the Canon EF 85mm f/1.2L II Lens be used for sports action photography? Definitely. 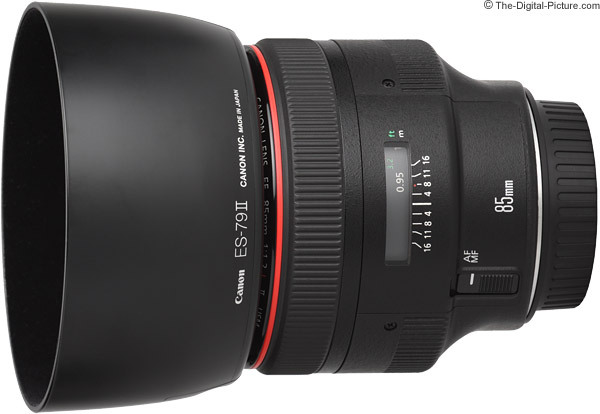 I included the Canon EF 85mm f/1.2L II Lens in my indoor action sports lens recommendation list. Some, in a politely-constructive way (always very appreciated), are questioning my logic for doing so. The big reason for this questioning is due to the 85mm f/1.2L II's focusing speed. Close and fast approaching subjects present a challenge to the autofocus systems of both cameras and lenses. 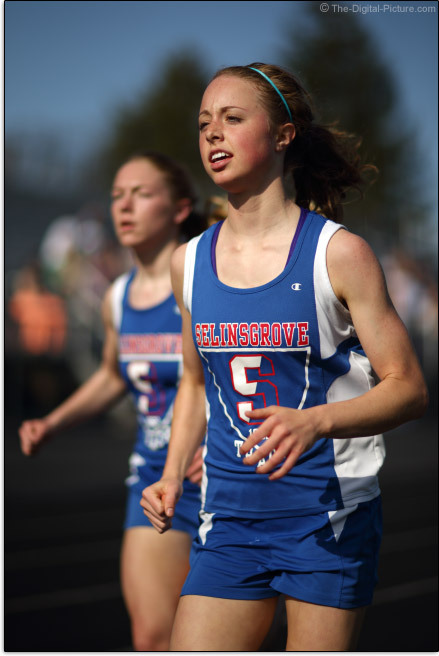 This runner was very close and moving fast. She was on the inside lane of the track and I was off of the track *just* far enough to not disturb the race. It is going to be hard to get much closer to any action - and dangerous to get that close to anything faster. This shot and a significant percentage of my other 85 f/1.2 action images are in sharp focus. Adding to the challenge of capturing in-focus action sports images with this lens is the razor-thin depth of field at f/1.2. Maintaining a focus point somewhere on the subject within the narrow plane of sharp focus as the in-action subject's eyes is a challenge. Do not expect an in-focus hit rate as high as with some good f/2.8 lenses when shooting at f/1.2 - though the 85 f/1.2L II bested some other non-Canon f/2.8 lenses I was testing at the above event even at f/1.2. You of course do not have to use a wide open aperture, but ... f/1.2 is a leading contributor to the major awesomeness of this lens. It is seldom too dark to stop action with an f/1.2 aperture as the in-action subject's ability to see becomes an issue. Actually, it can be too bright to shoot sports at f/1.2 unless you have the right DSLR camera. Shooting under full sunlight as shown in the sample above? You need a DSLR with 1/8000 shutter speed capability (only higher end models have it) along with ISO 50 to keep images dark enough to avoid blown highlights in some scenarios. These were the settings used in the sample above. Alternatively, a neutral density filter can be used. Again, this lens can perform very adequately in some sports action situations. While manual focusing is also improved, I am a somewhat disappointed that the Canon EF 85mm f/1.2L II USM Lens still utilizes focus-by-wire - electronic manual focusing. Electric manual focus uses the autofocus motor to adjust focus while you turn the focus ring. The camera must be powered on for manual focus to work. 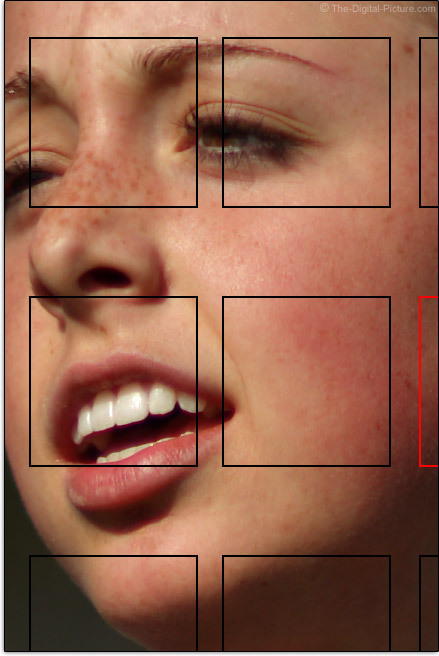 While I can't say I am inhibited by this feature, it is not my favorite attribute of this lens. When manually focusing the 85 f/1.2, the AF motor remains slightly behind my intentions. Manual focus lag is slightly improved over my 85mm version I. The undamped focus ring turns far too easily and freely in my personal opinion. It is super smooth, but slightly harder to fine tune than some of the other L lenses. Avoid grasping the MF ring when mounting/dismounting the lens. And very important - make sure that you do not turn the MF ring while shooting in AF mode as FTM (Full Time Manual) focusing is enabled. Especially if you are focusing and recomposing. The natural location to hold this lens means that your left hand is on the focus ring and the slightest movement will result in an OOF shot. I frequently avoid the accidental focus ring adjustment issue by turning off electrical manual focus in cameras that support this custom function (such as the Canon EOS 5D Mark III). The DOF is extremely shallow at f/1.2 with a relatively close subject - accurate focusing is mandatory - and recomposing after focusing can generate out of focus shots in some situations even if your hand does not move the MF ring. Since the Canon EF 85mm f/1.2L II USM Lens is a front-focusing lens (part of the slower focusing speed reason I'm sure), the lens extends a small amount while focusing. I prefer non-extending lenses, but the amount of extension in relation to the size of the lens is relatively small. Care is required during lens changes to avoid scratching the rear lens element as it is seated at the back of the lens mount making it susceptible to damage. 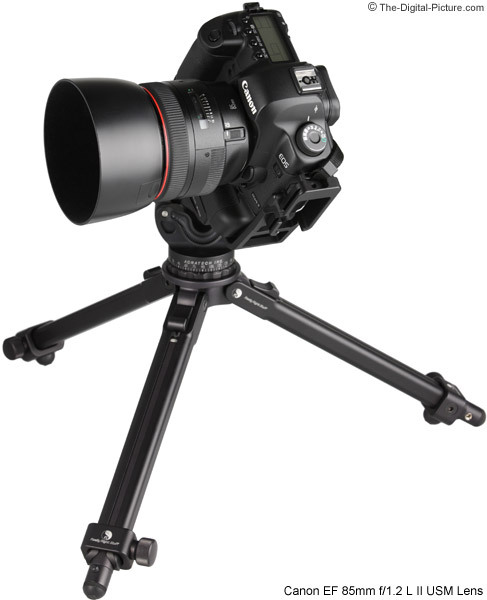 The 85 f/1.2L II pictured above is extended to its maximum length (minimum focus distance). Image quality was excellent on the original 85 L, but using Super Spectra coatings and optimized lens element shaping to suppress flare and ghosting should make the 85mm f/1.2L II an even better performer. Anti-reflective material has been placed inside the lens barrel as well. In reality, I am seeing only very slightly improved image quality - but it is still excellent. In certain situations, I am seeing less flare. Both 85mm L lenses are noticeably better at controlling flare than the 85mm f/1.8. The biggest image quality difference I am seeing between the I and II lenses is a slightly more neutral color from the new lens. The original 85 L was sharp even at f/1.2 and it got even sharper when stopped down a small amount. The new lens appears very similar to me. Real life shots are very usable at f/1.2. The original 85 L showed noticeable vignetting at f/1.2 (even on a 1.6x FOVCF body. Full frame users saw vignetting nearly disappear by f/2. The 85 f/1.2L II performs identically. The 85 f/1.2L II has about 1 stop of vignetting advantage over the Canon EF 85mm f/1.8 USM Lens. The 85 f/1.2L II shows more CA (Chromatic Aberration) than the older 85 L. And my 85 f/1.8 shows less CA than either version of the 85 L lens. The 85 II lenses I have used are producing noticeable purple fringing at the widest apertures when sun glares from something reflective in the shot (such as a chrome car bumper). For most applications, the CA will not be a big deal - and removing it in post-processing is often possible. 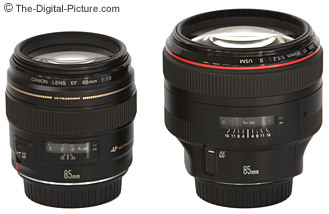 Pictured above are the Canon EF 85mm f/1.8 USM Lens and the 85 f/1.2L II. The same are pictured below with their lens hoods mounted. Combining an 8-blade circular aperture diaphragm with an f/1.2 aperture, the Canon EF 85mm f/1.2L II USM Lens is the master of background diffusion for this focal length or anything close. Open the 85 f/1.2L II up and watch the background disappear. The result is very appealing. Background distractions are gone. The other benefit of the extremely wide f/1.2 aperture is the simple fact that it lets in a lot of light. The result is that lower, less-noisy ISO speeds can be used and higher handholdable, action-stopping shutter speeds can be obtained. While the circular aperture diaphragm is a nice new feature, I haven't hit the right scenarios to see this make much difference in my images to date. The circular design attempts to keep the background blur attractive even when the lens aperture is stopped down. Most lenses have round apertures with they are wide open. Although it is not an issue to me personally, I should note that the 85 f/1.2L II's minimum aperture is a still-somewhat-wide f/16. Slight barrel distortion is visible in the 85 L II. Now with distance information. 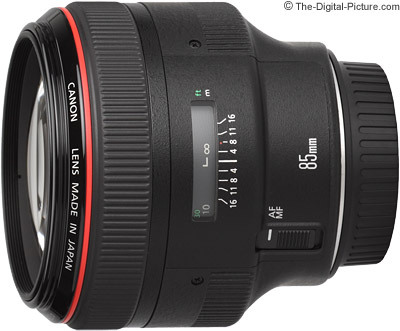 Unlike its predecessor, the Canon EF 85mm f/1.2L II USM Lens passes distance information to the E-TTL II flash algorithm. 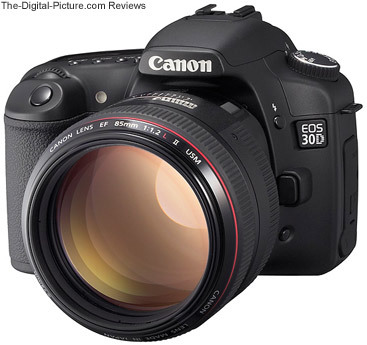 This lens is going to show up at a lot of weddings and other similar events where flash is often used. Adding this parameter to the flash exposure computation is beneficial. With a closest focusing distance of 37.4" (0.95m), the 85 f/1.2L II is not going to be mistaken for a macro lens. Maximum magnification is a low 0.11x. Extension tubes help - magnification 0.25x-0.15x with the Canon EF 12mm Extension Tube II and 0.42x-0.33x with the Canon EF 25mm Extension Tube II. 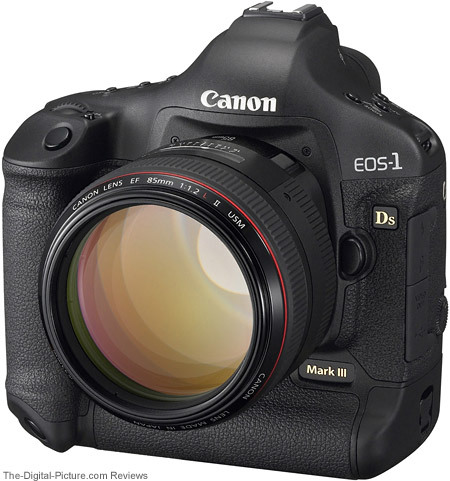 The 85 f/1.2L II is not compatible with Canon's Extenders. Based on outward appearance, not much has changed from the original 85 f/1.2 - Lots and lots of glass housed in a strong body. At 3.6" x 3.3" (91.5 x 84.0mm)(maximum diameter x length) and 36.2 oz (1025g), the Canon EF 85mm f/1.2L II USM Lens is fat and heavy. While I considered this a detriment when I first used the original 85 L, I now don't mind the weight/density of this lens. Because I am frequently using the this lens in low light conditions, my shutter speed is often dragging (long). The lens anchors very well into my hand aiding steadiness - The weight of the lens helps it to remain still during the shot. A rubberized grip surface helps control the camera/lens combination. 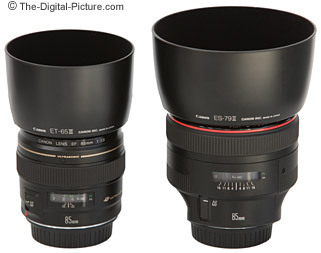 The 85 f/1.2L II retains the 72mm filter size of the original 85 L. It also uses the same lens hood and lens pouch. Both the ES-79 II and the LP1219 lens pouch are included with this lens. The clip-on lens hood is very easy to install and remove - it is very forgiving to installation misalignment. With improved AF speed, the 85 f/1.2L II is destined to be the choice of many as their indoor sports lens of choice. If 85mm is the focal length you need, this lens will capture your subject against a smoothly blurred background much better than any other available lens close to this focal length. The crowd will become a colorful blur while the basketball player is frozen in action. 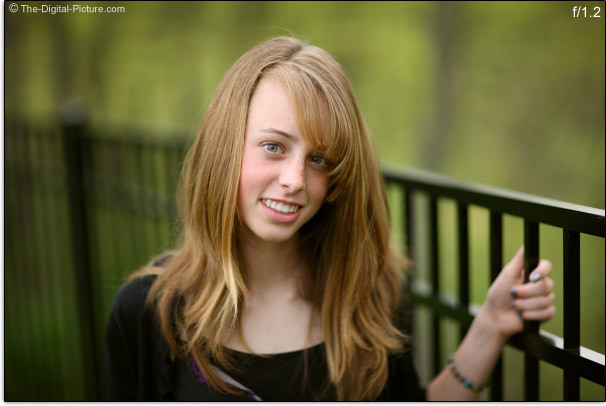 There is a significant difference in the background blur at f/1.2 compared to f/1.8 or higher. There is a 2x difference in shutter speeds at these two wide open apertures. 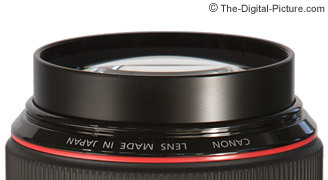 The Canon EF 85mm f/1.2L II USM Lens excels at portrait photography - Canon calls it their "definitive portraiture lens". The 85mm focal length combined with excellent bokeh (evenly graduated blurring of out-of-focus areas) is perfect for portraits. 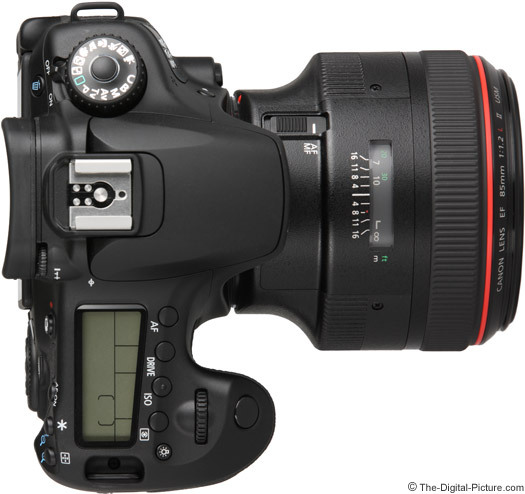 The Canon EF 85mm f/1.2L II USM Lens is an excellent low-light lens for handholding at events. The 85 f/1.2L II is one of the best wedding lenses available. Taking pictures around the house using available light, shooting church events, photographing a speaker or business event, still life photography ... There are a huge range of uses for the 85 f/1.2L II. 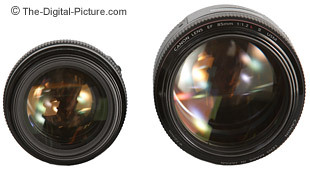 I have purchased retail or used 5 of these lenses. I have not noticed any performance differences between them - I've loved them all. Years after the Canon EF 85mm f/1.2L II USM Lens was first written, this lens continues to be one of my most-used prime lens - and captures my most-talked-about portraits. 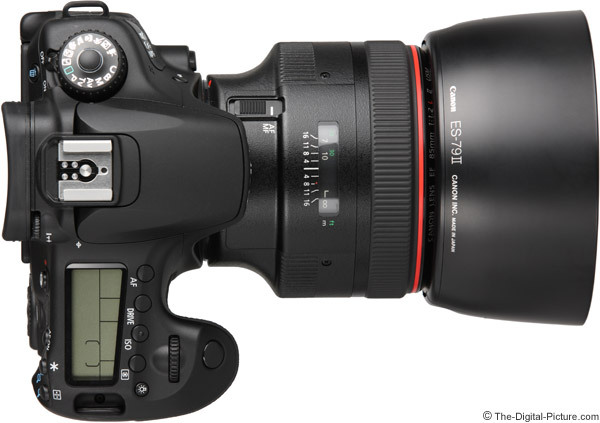 Should I Get the Canon EF 85mm f/1.4L IS USM or EF 85mm f/1.2L II USM Lens?